Recently, while sifting through the Riegel papers, I happened to find this “thirty pound nugget.” It is a summary of Riegel’s Valun Money Plan, which shows very clearly the nature of his proposed system and the essential details of its operation. In my estimation, Riegel’s valun plan is both brilliant and reasonably complete. It is fully consistent with the values and objectives of the current movement to transform money and should be very useful to us today as we try to focus on the main issues and challenges and come to some consensus on a plan of action. The most fundamental purpose of the valun exchanges is to open the money power to the people at-large and to businesses in particular. The valun exchanges were to accomplish this by performing the credit clearing function and by allowing members to overdraw their accounts, in effect, creating money in the process. It further intended to create a new money unit or standard value measure. Riegel, not only conceived this plan, he also tried to implement it, though with little success. Given the greater awareness and interest that prevails today, and the available technologies, we have a much better chance of succeeding. There is no indication of when this draft was written, but comparing it with Private Enterprise Money and Riegel’s other writings on the valun program, I conclude that it must have certainly come later, probably sometime in the late 1940s. It summarizes the main points that were contained in an article by Riegel that was published in the November 1945 issue of The JOURNAL of ACCOUNTANCY. That article was titled, Money Is the Language of Accountancy, and is appended following my summary comments. Indeed, I venture to say that this draft represents his most mature thinking on the subject and was probably compiled not long before his death (he died in 1954). Despite its brilliance, there are a few points here that I disagree with. Rather than interrupt the rhythm and flow of the original, I have decided to append my comments at the end instead of interspersing them at each section. Throughout, I have used italics to set off my comments from Riegel’s. I have bolded a few of Riegel’s words for added emphasis. Toward the end of the draft, Riegel, offhandedly states that, “The project of course encompasses an economic world revolution and it is difficult to forecast all the consequences.” INDEED! – t.h.g. To establish a sound money unit with a constant purchasing power and a money system that will prevent booms and depressions, inflations and deflations, and assure constant prosperity and universal circulation, the following plan is proposed. The central clearing house through which checks are to be cleared and from which the currency bills and coins will be obtained will be called the Valun Exchange. The ideal institutions to start the system are department stores because their lines of merchandise are so inclusive; and they are well known to the public. They would not sponsor anything that is not sound and in the public interest, and with their endorsement the people would have confidence in the new money. The firms that desired to initiate the system would form themselves into a Valun Exchange and adopt rules governing the operation thereof. The members of the Exchange would agree on the line of credit for each (probably a percentage of their previous year’s business). This means that each member would be allowed to draw checks in valuns up to the stated credit limit. Checks would be convertible into currency. To quickly establish public confidence in the new currency, the members would agree to pay into a pool, one dollar for each valun issued. This pool would be used to guarantee to any holder of valuns that he could get dollars in exchange, unit for unit. All the members would announce to the public that they would accept valuns the same as dollars in their business, or would exchange dollars for valuns. The effect of this would be to make valuns acceptable to other tradesmen who are not members of the Exchange. The currency bills would carry the legend: This bill will be accepted in exchange for goods and services or for a dollar bill of the same denomination by the firms whose names are printed on the back hereof. Issue of valuns would, of course, be confined to members who had agreed to the dollar pool. They would write checks for their purchases, and would cash checks in the regular way for payrolls. The dollar pool would set up cages in the department stores where dollars would be available to all on demand, in exchange for valuns. Because of the dollar pool guarantee, any merchant and employee would accept valuns and thus there would be many merchants besides the sponsors who would trade in valuns. No one would, of course, be obliged to do so, except for competitive reasons. Such dealers could open checking accounts in the Exchange but would not have credit, and, of course, would not pay into the dollar pool. The first phase is intended merely to demonstrate the feasibility of the plan and to win public confidence and to lead to the accomplishment of the ultimate purpose of the plan, which is to completely separate the valun from the dollar and all political money units. The time when this can be accomplished will be automatically determined by public reaction. It should be noted that the dollar pool will buy Valuns with dollars but not dollars with valuns. In other words, the valun will be guaranteed to not fall below the dollar, but there is nothing to guarantee the dollar from falling. In fact, the dollar is sure to fall, and that is the main reason for starting the valun system – to protect valun users against inflation and to maintain a constant price level. At the outset all goods will be priced the same in dollars and valuns. For instance, a pair of shoes will be priced $10 and V10. In due course the inflationary factor in the dollar will cause the dollar price to rise to say $10.50 but the valun price will remain V10. Thus the public will discover that the valun is worth $1.05 and will refuse to exchange one valun for one dollar. From then on the disparity will increase and therefore, the dollar pool will have served its purpose and may be dissolved and the dollars and valuns contained therein, returned to the sponsor depositors. Thereafter the valun and dollar will each be on their own. The valun will become the storm center to escape the inflation storm and people will turn to it in self defense. That prices should rise in one unit and not in another, or more in one than another, may seem puzzling, but that is going on all over the world. The dollar is the most nearly stable unit in the world. Therefore, prices are rising in terms of other units more than in dollar terms. When the valun is launched, it will be more stable than the dollar, and will in fact be the only stable unit in the world. The stability of a unit is determined by its issue policy. The issue policy of the valun is that its issuers are solely private enterprisers who issue it only for purchases of actual values under competitive conditions. The issue policy of a political unit is that it may be issued for any purpose by the government including all kinds of non-productive projects. There are billions of dollars issued against no production – hence the inevitable inflation. Every valun issued will be against actual value received by the issuer. Thus there will be many more dollars than valuns bidding for the same goods, with the result that dollars will decline in power while valuns will remain stable. The permanent organization of the Valun Exchange should include any person or organization. Membership should be of two classes: the A members, those who are allowed credit, which means the power to overdraw the checking account and thus create valuns; the B members, those who will have the depositing and checking right without the overdraft right. It is proposed that the territory of each Exchange be the state in which it is located. Any person or company in the world should be eligible for class B membership in any Exchange but will naturally choose the nearest, and as membership in any locale justifies, a local Exchange will be opened. Exchanges would be mutually owned by their members without capital, acting essentially as central bookkeepers and clearing houses. National, state and local governments should be admitted as members of any Exchange but should qualify only as class B members without the power to create valuns. So far as valuns are concerned, governments should be obliged to balance their-budgets by denying them the over-draft power. There should be one Exchange devoted to international trade to enable any trader anywhere to draw a check in favor of any trader anywhere else. This Exchange should be confined to class B membership. Any credit that an international trader is entitled to would be secured through some other Exchange and transferred to the International Exchanges to be drawn against. Each Exchange would have a representative on an International Governing Board that would determine matters of universal interest and regulation. Effort should be made to permit each exchange to have autonomy within proper limits. The most important question upon which men differ is credit policy. The Governing Board could set what is deemed to be the most conservative policy and provide therefor a minimum percentage to be charged for loss insurance, and from there up graduations of more liberal policies, with appropriate percentages for loss insurance for each. Each Exchange could then choose its own credit policy. The appropriate loss insurance percentage would then be added to the check clearing charge. Thus members of the various Exchanges would pay more or less as their policy was more or less conservative. The insurance fund thus set up against defaults would be held by the Governing Board subject to draft by any Exchange to cover any loss from credit default. It is contemplated that the expenses of the Exchanges would be borne by the members through a per check charge for all checks cleared, thus each would pay in ratio to service received. No interest charge is contemplated for debit balances and there would be no loans in the present banking sense, and of course no notes issued. The currency bills and coins should be printed and minted by the Governing Board and supplied to Valun Exchanges, so that they would be uniform the world over. Provide a stable price level. End the debt-money system. Credit would be extended solely upon the ability to deliver goods and services. Abolish interest within the system. Take the money-creating power out of the hands of government and banks and place it in the hands of private enterprisers. Make government operate on a cash basis; prevent deferred and delusive taxes through inflation. Assure distribution of goods by distributing money power. Defeat bureaucracy, fascism, and communism by taking the money power from government. Defeat hidden money control from any quarter. Assure full employment and a high standard of living. Give the people the veto power over war and government extravagances. Supply the perfecting element in democracy and private enterprise. Unify commerce in one world of business, in spite of the separatism of politics. Comments and Critique by Thomas H. Greco, Jr. I propose that the unit be called the “Riegel,” in honor of the man who contributed so much to our understanding of money and exchange. I also like it because it is a homonym of “Regal” and thus carries with it the concept of sovereignty. Besides that, I just like the sound of it. This is a feature I do not recall seeing in any of Riegel’s other materials. I can see the advantage of it as a way of instilling confidence in the early stages, but it does pose an additional burden on the issuing members. Some additional thought and discussion is needed on this. In Riegel’s example, he presumes that the dollar will continue to be debased while the valun will hold its value in terms of real goods and services. I agree, however, since the valun system will for some time be more limited, people may be willing to exchange some valuns for depreciated dollars because of the dollars wider ranging utility. If inflation of dollar prices were to accelerate, however, which is very likely at some point in the future, people would begin flocking to the valun system because its superiority would become more obvious. Riegel, throughout his work, speaks in favor of an “abstract value unit,” and his valun is presumably the implementation of that thinking. He expects that the valun and the dollar will in a short time part company. I myself cannot see how that will happen without a lot of help. A value concept gets established in the minds of people through its use. Since people are well accustomed to using the dollar value concept, what will it take to lift them out of the “rut” of dollar thinking and onto the high ground of valun thinking except some physical reference which allows them to compare the two side by side? In my view, any new value concept must be defined in concrete physical terms if it is to have any hope of separating from the established value concept, thus, my oft repeated advocacy of a “market basket” standard. Everyone knows how an index number, like the consumer price index, works – you take a basket of commodities (and services) and compare their total dollar cost today with their dollar cost at some time in the past. Now, if you take the reciprocal of that index number, you get the value of the dollar in terms of goods and services. My proposal is to define the new unit (valun) as a specified amount of some specified commodities. Then, there would always be a clear distinction between the value of a dollar and the value of a valun. So far as governments are concerned, Riegel would limit them to class B membership, i.e., he would deny them the overdraft (issuing) privilege. I am inclined to be a bit less strict. I, too, have serious objections to governments forcing people to accept both their services and disservices, and would prefer that such services be required to stand the test of competitive markets. But that is something that can only partially be dealt with through the monetary realm. Legal tender laws obliterate any objective definition of the value measurement unit and must be repealed. We are seeking an alternative exchange mechanism to the present centralized government-banking dollar system, which enables unlimited monetization of federal government debt. Surely, the federal government must not be allowed to do that in an alternative system, but I think the purpose of dispersal of power will be served by allowing lower levels of government to monetize a portion of their anticipated tax revenues. As long as taxes are with us, I am willing to allow lower levels of government to use them as a basis of issue. There must, of course, be limits on the amount so monetized, just as there are limits on the amounts allowed to private businesses. Local, municipal, and perhaps even state governments should be allowed overdraft (money creation) privileges so long as the same credit limit criteria are applied to them, as to the private business members. With those provisos, I think we have here a very good plan. It remains to adapt it using today’s technologies and to promulgate it to a wide audience. – t.h.g. Proceeding from the assumption that the study and comprehension of money is an integral part of accountancy, this author explains his own conception of the function of money and credit, proposes the establishment of a “private-enterprise money” system, outlines Us operation, and lists some of the advantages which he believes would result from the point of view of accountants, in particular, and the national welfare. Mr. Riegel, who is president of the Valun Institute in New York, describes himself as “a non-academic student of credit and money.” He is the author of several books, including a recent volume entitled Private Enterprise Money, which develops the proposal outlined in this article. SINCE money is the language of accountancy, an unstable unit plagues the accountant with a confusion of tongues. This year’s statement is written in a tongue different from last year’s and perhaps even last month’s. Figures are not merely black and red; they are also gray and pink. Taxes are impossible of estimation because when the government runs a deficit there is a hidden tax that manifests itself in inflation. Depreciation cannot be gauged because property may show appreciation in terms of the changing dollar. Profit-and-loss figures are deceptive. Reserves may depreciate or appreciate in terms of the unit. All is confusion. Is accountancy futile? The problem is serious enough to challenge the profession. If it is not solved accountancy must suffer. If accountants master the problem the profession will be raised to new levels of prestige in the business world. The study and comprehension of money is an integral part of accountancy and must not be left to the voodooism of monetary economics. Money can best be understood by inquiring into the purpose of it. In simple or whole barter there is no need of money. When barter is to be split into halves, i.e., one trader is to receive full satisfaction in value, and the other is to receive only a promise of value, there arises the need of an accounting system and money is a system of split-barter accounting. It is essential to remember that in the process of trading by means of money, there is no departure from barter, but merely a facilitation of barter by splitting it into two parts, one half finished and the other half prospective. Values still continue to exchange for values with money acting as an interim device, but itself having no value. Perhaps the easiest way to comprehend money is to imagine ourselves in a position where we had to initiate a system that would enable us to escape from the rigidity of whole barter to the flexibility of split barter. Let us approach the problem as one purely of accountancy, completely divorced from politics. underwritten by all the participants in the trading circle. Obviously, this calls for a pact of all the traders agreeing to honor the promises of each as if issued by all. Mutual or social or composite credit is, therefore, the foundation of a money system and the device that liberates traders from the limitations of whole barter. Before such common agreement can be obtained two questions must be determined: (a) what is the promise of each that is to be credited by all? (b) what is the limit of such promises? In other words we must define the meaning of the credit and the limit of it. Since the purpose of money is to split barter in two parts with one trader receiving value and the other “holding the bag,” it is obvious that the money must issue from the former (the buyer) and must pledge not money but value and the buyer-issuer promises to deliver value when any money is tendered to him from whatever quarter. Thus we see that the essence of credit under a true money system is not to promise to pay money but a promise to receive money. To comprehend this is to liberate private enterprise from the control of finance. As to the limit of the credit of each participant, this can be agreed upon on the basis of the needs of various trades, and industries, and professions rather than passing upon the applications of each member thereof. This being done, each participant would be authorized to draw checks against his assigned credit without giving any note or other instrument. The credit would have no term but would be in the nature of a call credit since the pledge is to deliver value on demand by tender of money. Realizing that we have a mutual credit agreement whereunder the credit can be offset only by delivering value (selling goods or services), it is obvious that we cannot afford to admit to our money exchange as a money issuer any factor that is not engaged in the business of buying and selling. Ipso facto governments are excluded since they have no way of making good their promise which is implicit in the issue power. This explodes the delusion that governments back money. It is only private enterprisers that back money; governments merely depreciate it by freely issuing it but never backing it by over-the-counter transactions. Before we can give meaning to our agreements we must determine the size or power of the money unit. This may seem formidable but is quite simple. Few people realize that our dollar was given its meaning by merely making it par with the Spanish dollar already current in the colonies and the states. Thus we can agree that our unit (I suggest the name “valun” from VALue UNit) shall be equal to the current dollar or some multiple thereof and set our prices in valuns accordingly. A deposit of currency would, of course, bring the reverse action. The cost of printing the currency and minting the coins could be charged to each drawer or thrown into overhead and covered by the check-clearing charge just like the cost of printing check books. These are the general outlines of the establishment and operation of a private-enterprise money system. For details I must refer the reader to my book, Private Enterprise Money. Since the substance of the whole plan is mutual credit there is no occasion for anybody to pay interest to anybody and, of course, there is no place for the promissory note. Check drafts and deposits are the only instruments of record and the “money-makes-money” principle is absent. Money is made the instrumentality of the private profit system but of itself is valueless and profitless. This revolution has tremendous significance in the issue between private enterprise and collectivism because the criticism of the former is due entirely to financism. End the debt-money system. Credit would be extended solely on the promise to pay with goods and services. Assure full employment and a high standard of living. Give the people the veto power over war and all government extravagances. If the accounting profession will interest itself in the establishment of a true money system it will render an incomparable service to business and the public. The study of the subject is not extra-curricular; it is part and parcel of accountancy. No profession can gain so much from its solution; none must suffer so much from its non-solution. The reconversion problem with which the nation is now engaged is basically a problem of dollar-power conversion from the prewar power to the current power. By rationing and restraints upon spending, the action of demand upon supply has been cushioned. This cushion must be removed and since there are now about eighteen available dollars for each dollar of consumer goods (at 1939 prices) we face a tremendous potential inflationary price rise. If through the self-restraint of the people, or by artificial restraints imposed by government, the accumulated dollars are not permitted to come into the market, industry will stagnate and relief and public-works payments will increase the unbalance between a dollars and goods. When the flood breaks prices will skyrocket into runaway inflation. The dollar must be converted, sooner or later, from its prewar power to its natural current power which will grow progressively smaller and I believe will not be arrested short of complete fade-out. 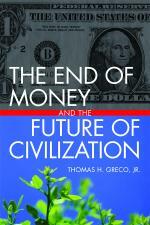 The creation of a private-enterprise money unit is, therefore, imperative if we are to escape chaos and bloodshed. The subject is one of greatest urgency and I hope that the accountants will actively participate in the project. This article was published in The Journal of Accountancy, November 1945, pp. 358-360. (Official Publication of the American Institute of Accountants). Riegel was a brilliant monetary reform economist who recognized and openly criticized the Accountancy profession for its inability to take into account the fallacy of using a so-called “Unit-of-Account” (whether it be called a Dollar, or Franc, or Euro, or Bitcoin) that itself is fluctuating in value! Although he was writing in the 1940s, the Unit-of-Account issue still has not been resolved by the Financial Accounting Standards Board (FASB) or the International Accountancy trade groups. It remains a criminal failing of accounting that changes in the value of the very unit used make an accurate reflection of the financial condition and changes to a firm (or individual) are not reflected, even though our Central Bank and entire economics profession seems wedded to a deranged notion that the value of the Dollar should be debased by at least 2% per annum, compounded! Riegel also exhibited in his writings a sense of the importance of energy to the economic calculus. Unfortunately, he limited his energy horizon to a misguided “human energy” reminiscent of the long debunked labor-theory of value. In addition, the “Value Unit” (Valun) that Riegel was developing near the end of his life, failed to have a Unit-of-Account reference specification linking it to the “real-world”… the same failing as all the other currencies he was seeking to displace. If only Riegel had a wider undertstanding how all forms of energy, and its measurement, form the basis of the actual economy, he likely would have immediately incorporated such thinking. I have developed a Unit-of-Account, called the Quanta, which does retain an objective, measurable invariant relationship to a value accounting that would solve all these problems. A proper monetary system separates the Unit-of-Account from the media of exchange. The Quanta is the Unit of Account. Multiple freely issued and freely consenting acceptance of various media of exchange is not incompatible with Riegel’s ideas. Ending Money Illusion – Quanta! I am glad someone referred me to this website, I had never heard of it and can see some similarities between the one I created. Mr. Greco it would also be nice if I could get some comments from you, about the economic system I created in the link above. It would give me some better creditably. I cannot get your website to display properly in Firefox. The right side is cut off. If you want me to consider your program, please provide a two paragraph summary of its distinctive features. Hmm sorry about the site. Do you have anything other than firefox to open it with. Heres a short list about the system. As valuns grow more numerous would that lead to inflation of the valun? Or does the basket of currencies which the valun is pegged to guarantee that the valun is always equal in value to that basket? The valun is a unit of measure, not a currency. It’s value is always equal to the things that define it. A currency is a credit instrument of an issuer. Any currency may be debased by the issuer by improper and over-issuance. If that occurs, the market will refuse or discount the currency, i.e., accept it at less than its face value. Only legal tender status (forced acceptance at face value) can prevent that. Simply want to say your article is striking. The clearness in your post is simply impressive and i can assume you are an expert on this subject. Well with your permission allow me to grab your rss feed to keep up to date with forthcoming post. Thanks a million and please keep up the admirable work. Uh, well, I agree, but what has that to do with this post? ?